We live in a society based more and more on technology. From simple elements that make our lives easier to automated industries, everything revolves around technology and its evolution. 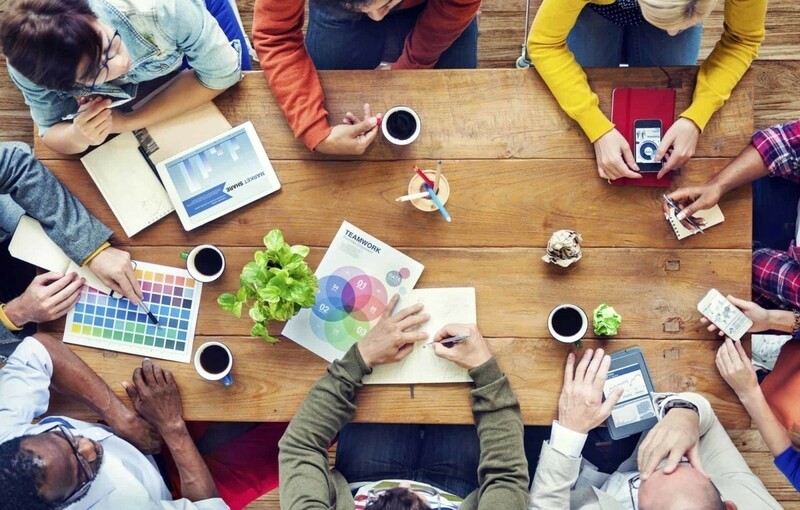 Technology entered in all fields and offers unlimited resources and uses, being accessible to everybody. We just have to learn how to use it in the advantage of a better and safer world. Adfaber is an NGO different on the Romanian market, that chose to stand out. It is an NGO that promotes society development and social change through technology. 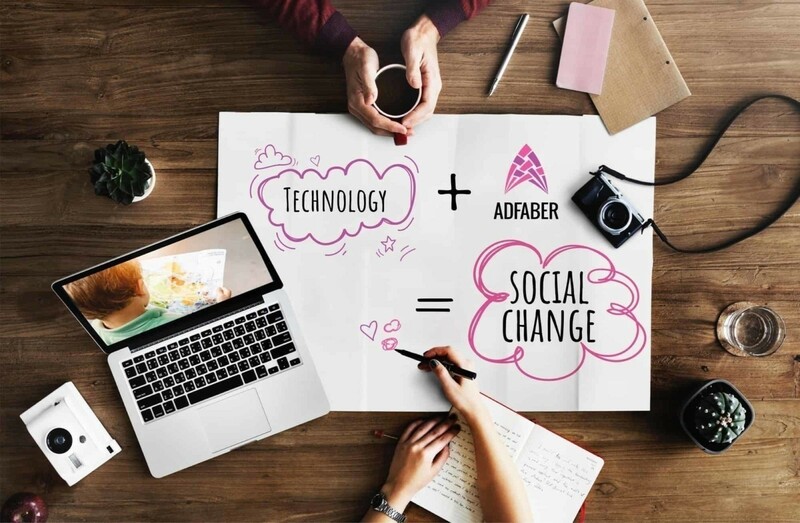 Adfaber team understood that you can contribute to education and specialization of the next generation in order to improve healthcare, environment and the world we live in. By organizing lots of projects that involve technology, Adfaber comes with a challenge for Romanians. How to use technology for community and why to be aware that education in this field can start from an early age. People must understand the fact that this is a society in permanent evolution, that we are in a continuous movement and that we can build our future only by investing in the next generation. Adfaber projects are primarily targeted at young people and those who want to learn about programming and technology. Kids in Tech, Hour of Code and Code School are the three most important projects made by Adfaber for children. There is also an education project specially made for girls who are inclined towards technology. Technovation is dedicated to 10 to 18 years old girls who want to change the world through technology. 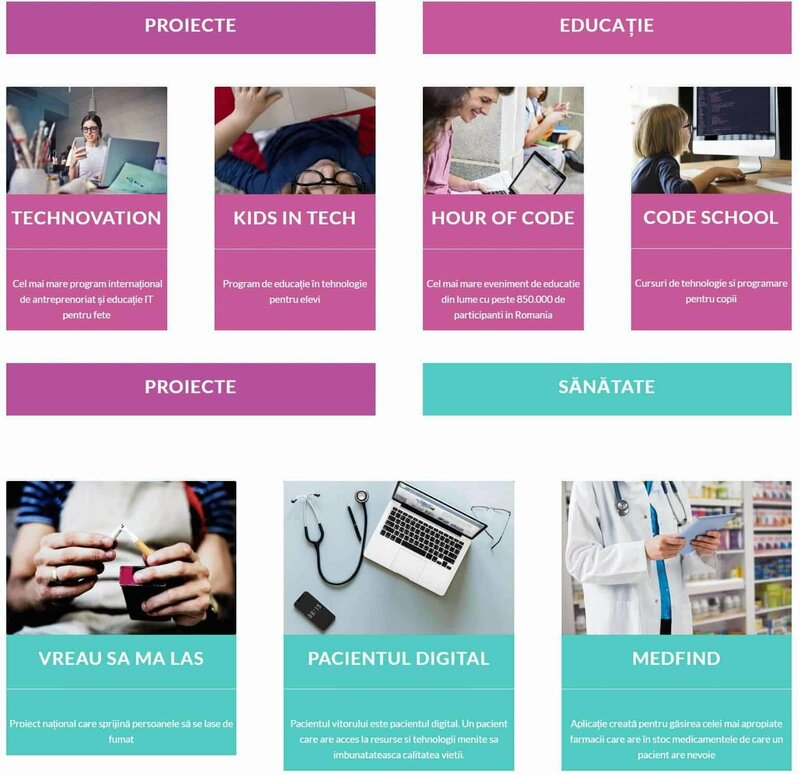 In what concerns Adfaber projects about health, Digital Pacient Ia maybe the most innovative in Romania by the idea it promotes – the transformation of healthcare system though technology to facilitate both doctors and patients access to information. Adfaber team wants to take medicine beyond doctors’ office and to implement technology in a field where it became essential in developing countries in the west. Nowadays, it became a nightmare in Romania to find the medicine you need. Adfaber comes to meet this problem with a simple solution represented by an app, Medfind, that finds the closest pharmacy or hospital. More than that, the app allows you to set an alarm to prevent you from forgetting to take your pills in time. Adfaber need was connected to the structure of the site in terms of direct access to desired information that the visitors should have. Toud focused primarily on the idea of correctly redirecting the visitors flux towards the area of interest. For the first page we chose to highlight the numbers in order to raise the confidence in what Adfaber offers. 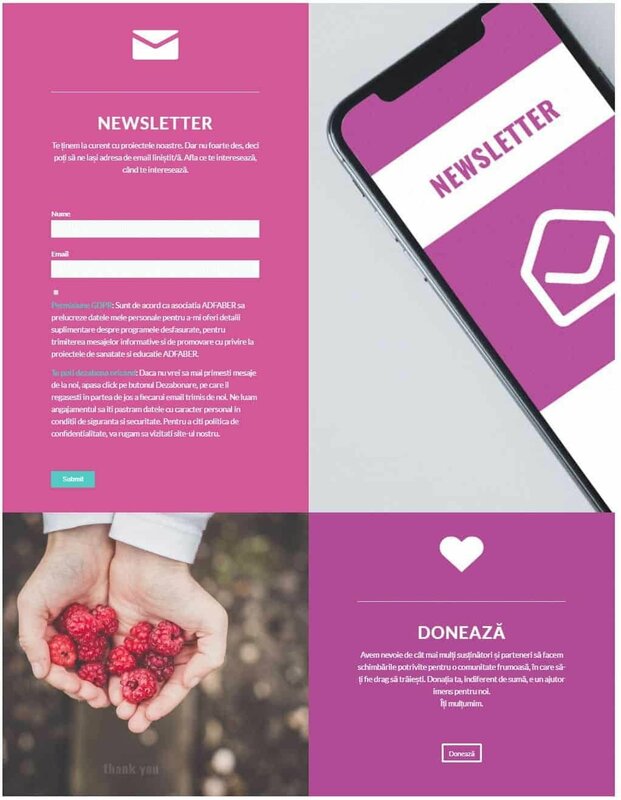 We also focused on the newsletter area in order to grow Adfaber community. We highlighted the connection towards donation page to make it easily accessible to visitors. Toud also conceived the cover for the first page, a cover which includes all the elements that define Adfaber. Another important page is the one dedicated to projects. Here we structured the information into two distinct blocks, education and health, that were highlighted by layout and specific colors. We made everything easier to redirect intuitive traffic. Relevant photos, as well as symbols, are strong elements in this page. We wanted to build something clean, simple and well organized to help the visitor to navigate easier on the site.